I sat down with Tkay Maidza not long ago to ask her some questions about her life and music. Besides dominating a genre bending crossover of rap and electronic music Tkay is super down to earth and was a pleasure to talk to! What are your origins? Tell us about your roots… this can refer to music as well as your descent. Well I was born in Zimbabwe, and I moved to Australia in 2001. My parents have always been into music, and my dad has studio gear at home so that’s how I got into it. I’ve been song-writing for nearly four years now. Initially it was just for fun. Last year when Triple J picked up Brontosaurus was when I decided to leave uni. Was leaving uni a worthwhile decision? It was definitely worth it because I have more time to do the things I love. You were a part of the N1 artist program… How did this benefit you as an artist? Going to Northern Sound System taught me persistence and to never give up. When my attitude changed from going for fun to going to learn something that’s when I reaped the rewards. What was your first gig like? How does is compare to one of your performances today? My first gig… it was more of a family thing three years ago at a Christmas party. It was weird, but back then I thought it was cool. There are definitely about 300% more people now! You worked with Badcop for your track Brontosaurus. What was the creative process like? Describe how you felt when the song took off like it did. For Brontosaurus we were working over the net. Badcop already had a concept and a beat so all I had to do was pen the verses. I think I re wrote them four times! When I finally got it the chorus was supposed to be really trippy. I was asked to write another verse and I didn’t put too much time into it. I was super surprised when four months later my manager said we’re putting the song out. If you heard the first demo of the song you would be like WTF! Touring with the likes of Nina Las Vegas and Wave Racer on the NLV presents tour. How was that? It was awesome! It was when I realised that people actually like what I do; it was the first time I had been on a line-up that was streamlined. I know people were enjoying my performance because all of the other artists played a similar style to me. Surely on such a large scale tour there would be some degree of partying. Tell us a crazy story! The whole tour was a party! People were crowd surfing in club venues – and that was something I had never seen before. It wasn’t overboard, it was really well put together. The experience was so surreal that it’s almost hard to remember. Having photos to look back on is good for that! You were recently invited to perform at the Oakbank leg of Groovin’ The Moo. What was that like? That was our best gig so far. It was noon and we had more people than the main stages. It shows people care and that means a lot. I had those playing on the adjacent stages talk to me after and say “Hey! You had more people than us!” It’s also cool that people are able to see the breadth of my material and what I’m going for. There’s much more than Brontosaurus, I only have two songs out officially! Apart from Splendour in the Grass, what’s next for you Tkay? This could refer to upcoming tours or how your music will progress. Right now we’re working on my image, re-branding everything for the new music, making it cool and street wise. We’re releasing the Brontosaurus video soon. Then I’m focussing on new music. The video for Brontosaurus is a massive montage of random shots and people having fun. The song is all about having fun and not caring about anything! Festivals are the goal for 2014, then we are looking to break through the international scene. The new music is more me. I want it to be more representative of how I imagine it in my head. It’s still party music and it’s still electronic. It’s just going to up the ante in every way. 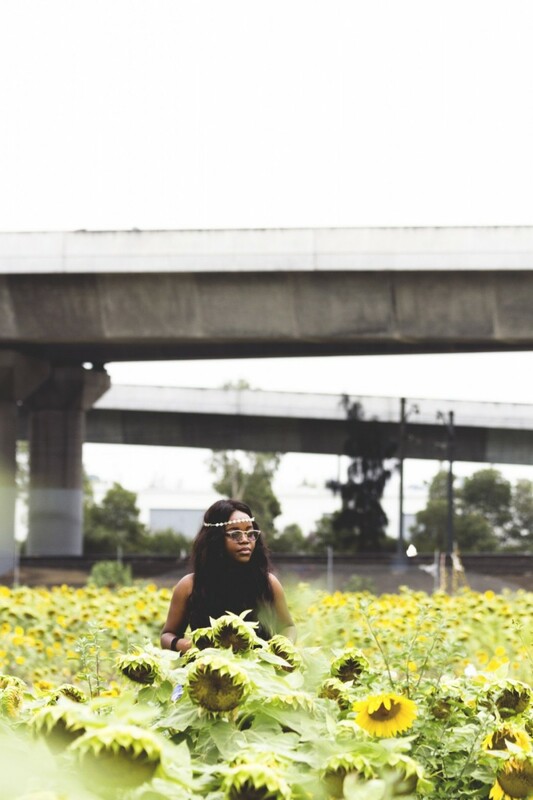 A massive thanks to Tkay Maidza for taking the time out of her day for this interview. If you’ve yet to see her perform I thoroughly suggest checking her out.